This style of Sharara is traditional dress. Ladies normally wear this 2 to 3 years ago. But now this style is again in fashion. Normally short choli is worn on this Sharara and it is also wide in length so it can be spread on the floor. 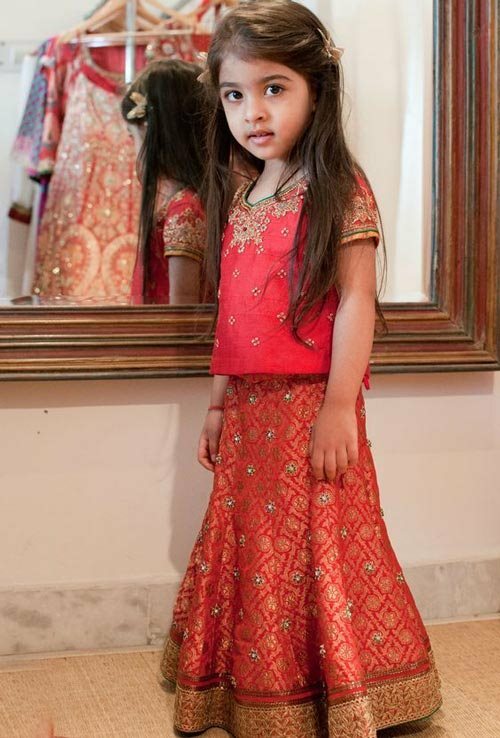 You can attach the frill on the lehenga to make it looks more beautiful on your kid.